The IRS announced that today January 19th, 2016 would be the first day of the 2016 IRS Tax Season. The IRS will begin officially(many people were accepted last week for testing purposes) accepting, approving, and issuing 2016 tax refunds today. We estimate many 2016 tax refunds that were accepting during the testing phase will have their 2016 direct deposit by the end of January 2016. The IRS estimates that 80% of Americans use direct deposit as their payment method. We have a 2016 Refund Schedule to better help with estimating when you will receive your 2016 tax refund. Also if you need help with your 2016 state refund, visit our friends at MyStateRefund.com. WASHINGTON — The Internal Revenue Service announced that the nation’s 2016 individual income tax filing season opens Jan. 19, with more than 150 million tax returns expected to be filed this year. People will have several extra days to file their tax returns this year. Taxpayers have until Monday, April 18 to file their 2015 tax returns and pay any tax due because of the Emancipation Day holiday in Washington, D.C., falling on Friday, April 15. Taxpayers in Maine and Massachusetts will have until Tuesday, April 19 because of Patriot’s Day observances on April 18. The IRS expects more than 70 percent of taxpayers to again receive tax refunds this year. Last year, the IRS issued 109 million refunds, with an average refund of $2,797. The IRS encouraged taxpayers to plan ahead and take advantage of the online resources available on IRS.gov. More than four out of five returns are expected to be filed electronically, with a similar proportion of refunds issued through direct deposit. The IRS Free File program, available at IRS.gov, opens Friday, Jan. 15, and the IRS will begin accepting and processing all tax returns on Tuesday, Jan. 19. 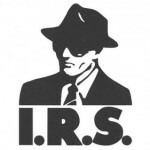 Commercial partners of the IRS offer free brand-name software to about 100 million individuals and families with incomes of $62,000 or less. 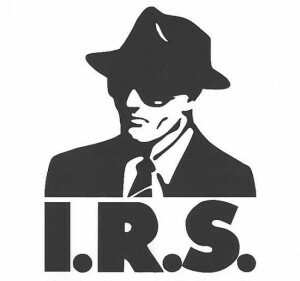 Seventy percent of the nation’s taxpayers are eligible for IRS Free File. All taxpayers regardless of income will again have access to free online fillable forms, which provide electronic versions of IRS paper forms to complete and file. This option, available through IRS.gov, is free. The IRS also reminded people to plan ahead, especially students and home buyers who request a copy of a tax transcript or tax return information for a specific year using the online Get Transcripttool. They should allow five to 10 days from the time they make the request to receive it by mail. The IRS is working diligently with state tax authorities and the tax industry to address tax-related identity theft and refund fraud. As part of the Security Summit effort, stronger protections for taxpayers and the nation’s tax system have gone into effect for the 2016 tax filing season. The new measures attack tax-related identity theft from multiple sides. Many changes will be invisible to taxpayers but help the IRS, states and the tax industry provide new protections. There will be new security requirements when you’re preparing your taxes online, especially when you sign in to your tax software account, to better protect your tax software account and personal information. Despite these security improvements to fight identity theft issues, the IRS will still process nine out of 10 federal refunds within 21 days. States have their own refund processing timeframes that may vary, and some states may make additional reviews to ensure refunds are being issued properly. The Affordable Care Act requires that a taxpayer and each member of their family either hasqualifying health coverage for each month of the year, qualifies for an exemption, or makes anindividual shared responsibility payment when filing their tax returns. Don’t wait for 1095-B/C: Many taxpayers will receive a Form 1095-B or 1095-C with information about their health care coverage. You may have heard that the IRS has extended the time for health coverage providers and employers to furnish these forms. You should be aware that you don’t have to wait for these forms in order to file your tax return and you don’t have to send these forms to the IRS. You can rely on other information to determine your health coverage. The IRS has additional information about these forms in questions and answers on IRS.gov/aca. Low-and moderate-income taxpayers can get help meeting this health-care requirement and filing their return for free by visiting one of the more than 12,000 community-based tax help sites staffed by more than 90,000 volunteers that participate in the Volunteer Income Tax Assistance and Tax Counseling for the Elderly (VITA/TCE) programs. To find the nearest site, use the VITA/TCE Site Locator on IRS.gov. Payroll deduction. Set up automatic direct deposit contributions to myRA through an employer. Checking or savings account. Savers can also fund a myRA account directly by setting up recurring or one-time contributions from a checking or savings account. Federal tax refund. At tax time, you may direct all or a portion of a federal tax refund to your myRA account. For more information about myRA or to sign up for an account, visit www.myRA.gov. Well over 90 percent of all tax returns are prepared using tax return preparation software. This software generally includes tax law help along with reminders and prompts about tax breaks and responsibilities. The IRS also reminds taxpayers that a trusted tax professional can also provide helpful information about the tax law. A number of tips about selecting a preparer and national tax professional groups are available on IRS.gov.